In the pictures above you can see how I install a queen cage. This is how I was taught to do it.. The frame I am holding has wax in it, but a rubber band will hold the cage in the same position. Some like to use the strap that holds the queen cage into the package. Thats fine, on the condition that the HOLE on the candy side of the cage is UP when hung by the strap, usually this is not the case. If you put the hole down, and an attendant dies, it will plug the hole and the queen cannot get out. A standard wooden queen cage will have a candy plug in one end. It will have a hole with a cork in both ends. One side of the wooden box will have a screen. The queen is normally shipped with attendants.. The purpose of the attendants is to feed and care for the queen. These are nurse bees. When the hive is lightly smoked the nurse bees will fill their honey stomach with honey in preparation to flee if necessary. This will also serve the purpose of feeding the queen while in the cage. The bees will eat this, and over the course of two to four days remove it completely, so it acts as an automatic door to release the queen. I use two methods of slow release. Method one, is poking a hole in the queen candy, this allows the bees to open that exit faster. I use this method when a queen has been transported in a package for two or three days. i want her released faster than if she had JUST been introduced to the package/bees. Method two, is leaving the candy plug as it is. By NOT poking the hole through the candy, it will take the bees approximately an extra day to release the queen, giving them that extra time to accept her. I use this method if I am introducing a NEW queen to a hive or nuc. Always place the screened side of the cage toward the open side of the hive. If you put the screen toward the foundation, or wax, the bees in the hive cannot interact with the queen, feed her, and her Pheromone is not going to enter the hive as freely. Always put the screened side of the cage to the gap between the frames. As stated, a queen in a package has likely been in contact with those bees for two to three days, and they do not typically need as much time to accept her. Installing a queen into a nuc you have just made up of mostly nurse bees usually takes three to four days. Installing a queen into a hive that has older bees may take a day or two longer for full acceptance. Older bees are not as accepting, where as nurse bees love any queen. I remove the original queen, usually placing her into a nuc in case I need her later. I let the hive rest for Up to, but not longer than 20 hours. Any longer they may start their own queen cells and reject the new queen. To bees, a queen cell is as good as a queen! I open the hive and place the queen cage between two frames of open brood if possible.. Nurse bees like queens! Open brood frames will have lots of nurse bees. If the queen sticks her tongue out between the wires the nurse bees WILL feed her. 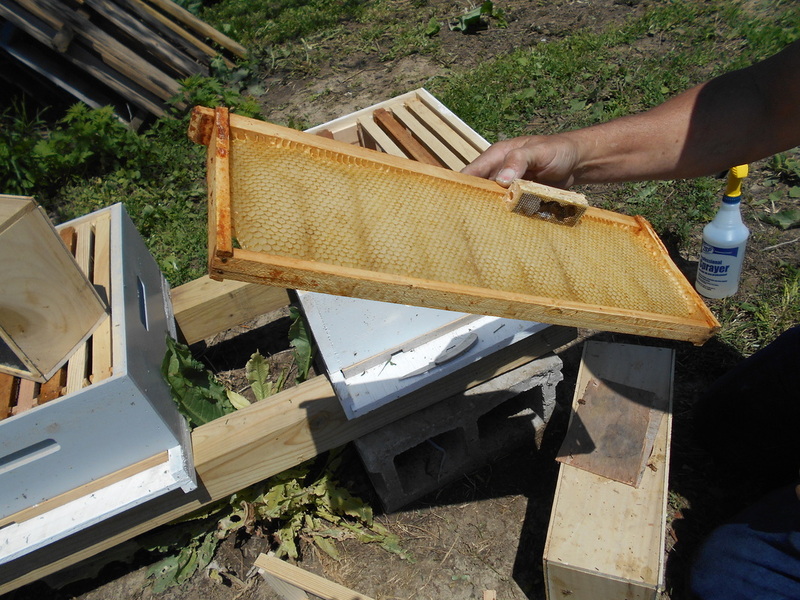 Four to five days later, open the hive, remove the queen cage, and close the hive. 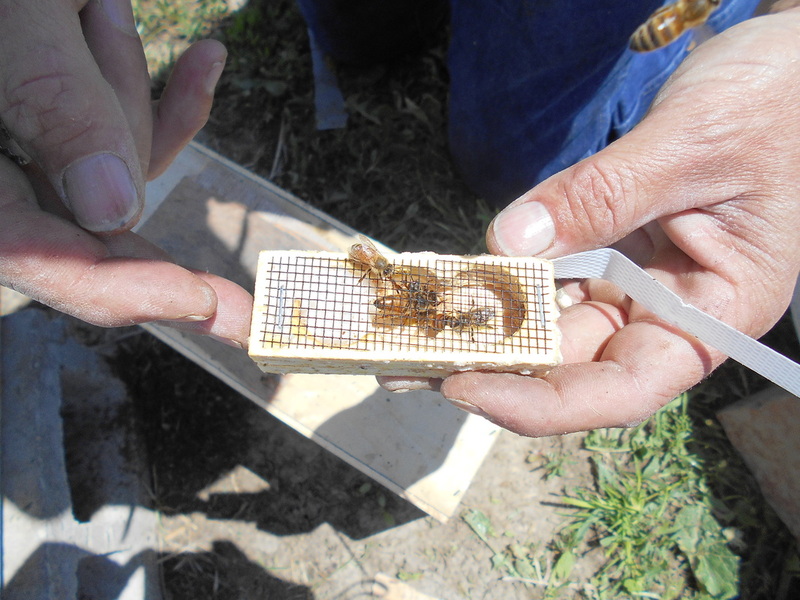 Wait one to two weeks, then go in and check for eggs and larvae. It should be there. If it is not? Look through the frames and find the emergency queen cells they started..
Let them raise their own queen? Destroy the queen cells and attempt to install another new queen. Do a newspaper combine with the nuc you placed the original queen in. Give it a couple weeks, then try again with a new queen, depending on why you wanted to replace her. Questions? What have I forgotten?